Do you need help getting around? Try out these power mobility aids to help you get around comfortably and quickly. Seniors and people with disabilities often benefit from using a power mobility aid to make getting places more convenient and less energy-consuming. Mobility aids are equipment and devices designed to help people who have any form of movement impairment. Power mobility aids can improve a person’s quality of life by enabling them to move around safely and easily. These devices reduce strain on the body, help prevent fatigue, and provide balance while moving. Scooters are a power mobility aids suitable for short-term periods of use and wheelchairs are designed with features that provide additional comfort to support use for a longer time period. Fortunately, there are several different types of power motility aids available to suit your specific needs and preferences. Scooters are used by people who are not able to walk longer distances and who need to travel faster than their walking speed would allow. Most scooters are designed to travel at a maximum speed ranging from five to ten miles per hour. 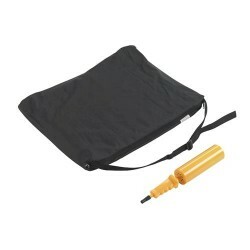 These mobility aids are easy to operate with the push of a button. Scooters typically have three or four wheels, are lightweight, and easy to breakdown making it convenient to travel with them. Equivalent to a wheelchair in terms of mobility, scooters have seats placed over a frame on wheels but are configured differently. These mobility aids have a foot plate or flat surface to place the feet on and handlebars to hold onto for balance and steering. Scooters are also referred to as a power-operated scooter or power-operated vehicle. When a person’s mobility is reduced and using a walker is no longer possible, a wheelchair may be helpful for improving quality of life. Wheelchairs are used by people who find it difficult to walk or who are unable to walk at all, due to advanced age, illness, injury or disability. 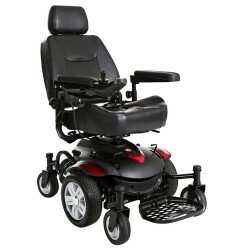 Electric wheelchairs are easy to operate with minimal hand use required. 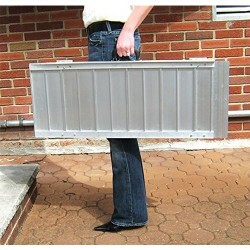 Most wheelchairs can be disassembled or folded for convenient storage or transport in a vehicle. Wheelchairs can have many different features and options. Some are designed for constant travel, and others cater to people who have a specific health condition that requires a tilting or reclining position to remain comfortable. 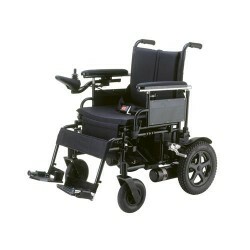 Numerous types of wheelchairs exist such as ergonomic, light and ultralight, standard, transport, tilting and reclining, heavy duty, bariatric, sports, standing, and pediatric. 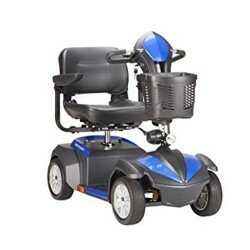 Some of the features that vary among different types of wheelchairs include the back and seat dimensions, foot and armrest type and size, and tire and wheel size. Additionally, the chair weight, type of seating inserts, upholstery color, and material differs between chairs. 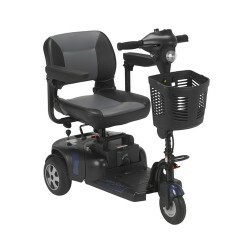 We offer several different types of power mobility aids. 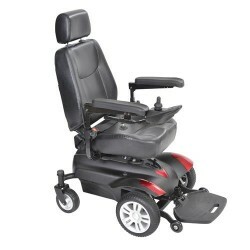 Browse through our selection of power mobility aids to suit your individual needs and personal taste.